Acer has announced its new Timeline series of laptops – the Aspire 3811TZ / TZG – which boast a number of energy saving initiatives. Both versions of the laptop have been made free of PVC and BFRs (brominated flame retardants) which make them that little bit healthier to the environment. The laptops have also been made to be recyclable and boast a 40 per cent reduction in energy use. Because of this, they have been given the Greenpeace seal of approval. Some of the ways the laptops cut energy is by using LED-backlit screens and Intel's ULV Core 2 Duo processors, which also gives the machines that bit longer battery life – up to eight hours. 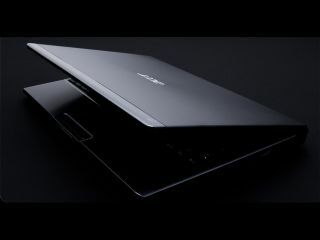 There's no actual details on specification for the laptops yet, but if they are anything like the 3810 series (albeit with greener credentials) then expect to see an Intel GS45 Express Chipset, up to 4GB RAM, up to 500GB HDD, 13.3-inch 1366 x 768 resolution display, HDMI output and Gigabit LAN and Wi-Fi access.